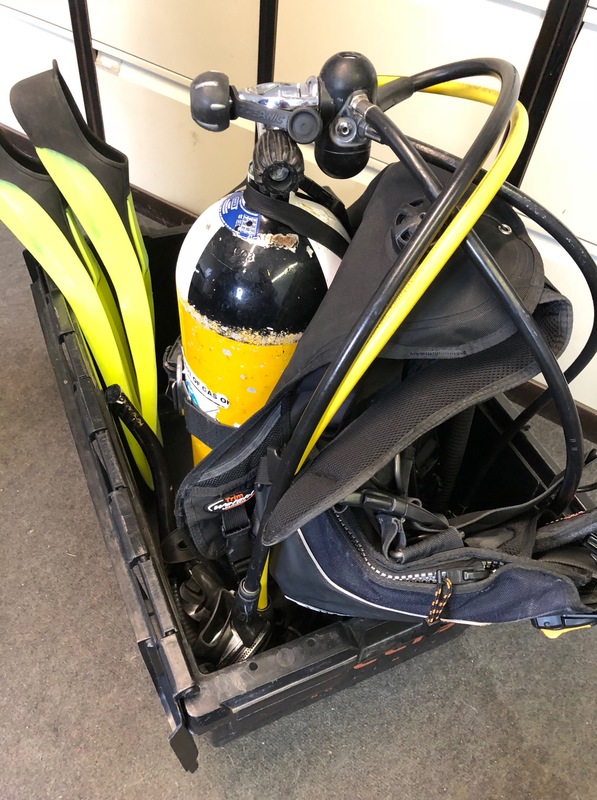 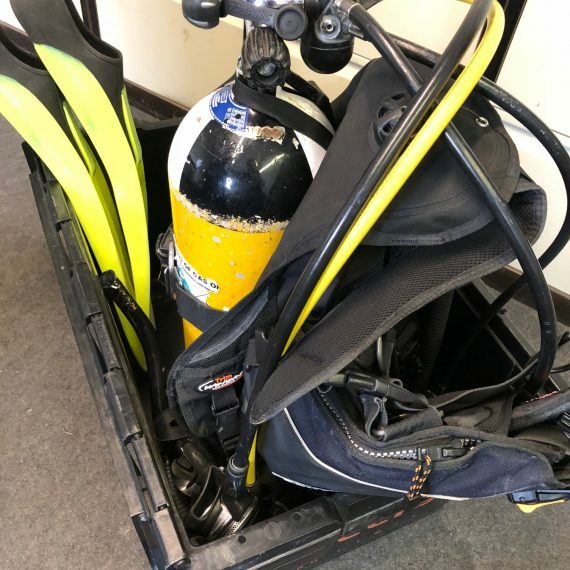 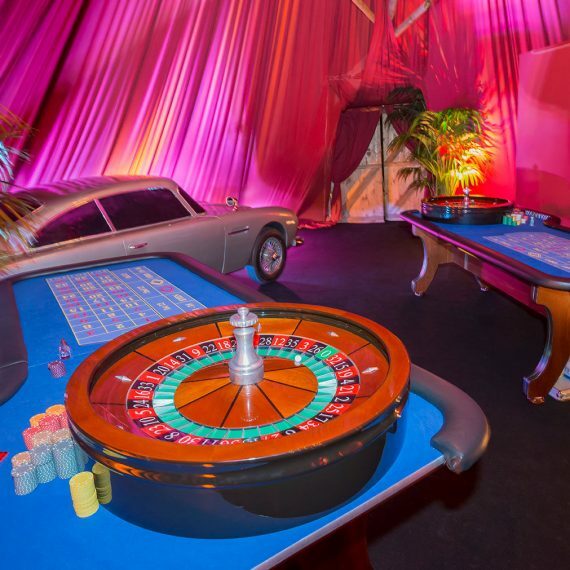 Our client in the Cotswolds asked for our help to support them and some pre-booked suppliers with the delivery of a complex project creating a party structure over a new outdoor swimming pool to celebrate a James Bond-themed 50th birthday. 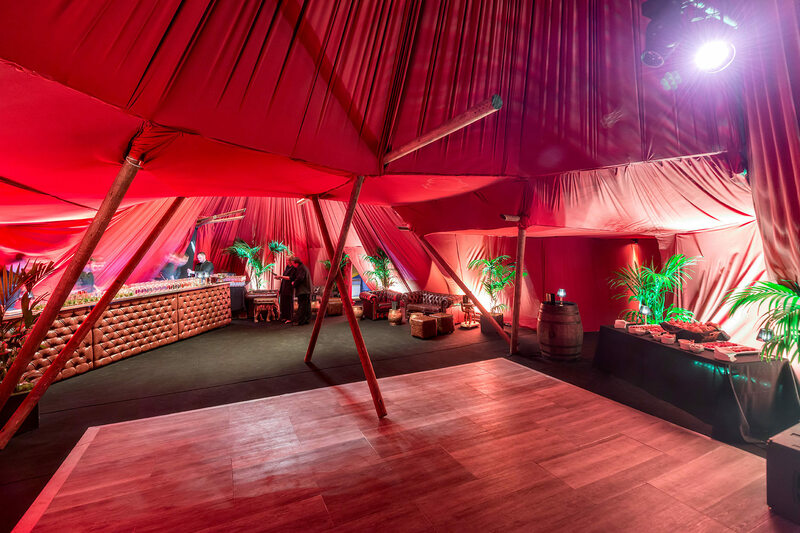 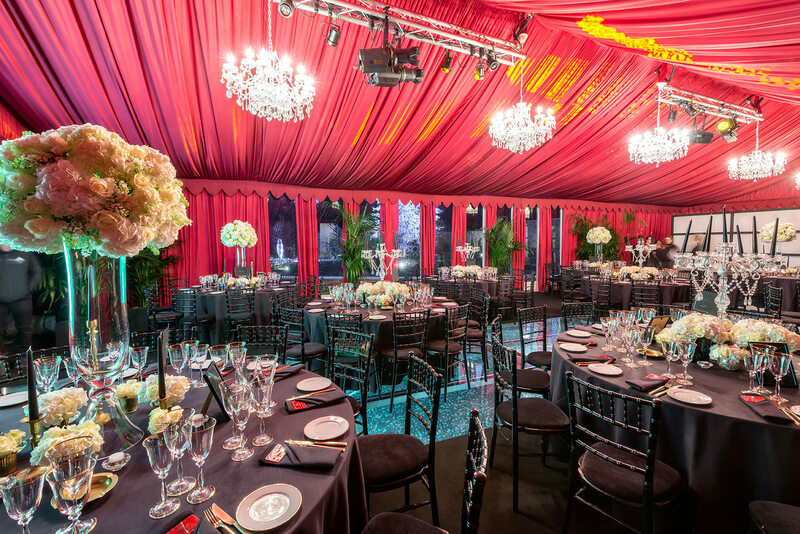 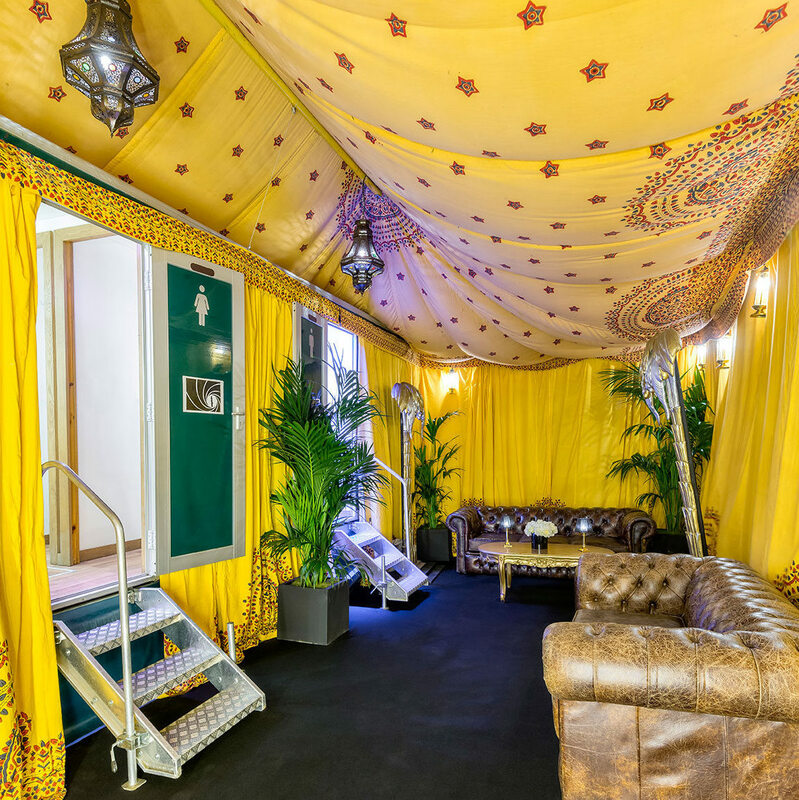 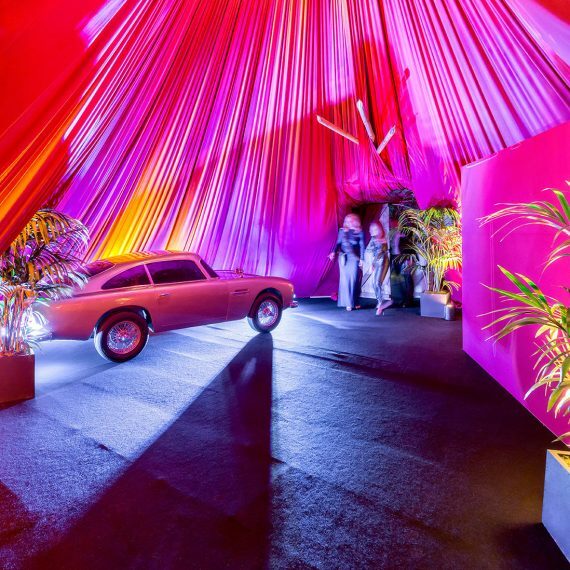 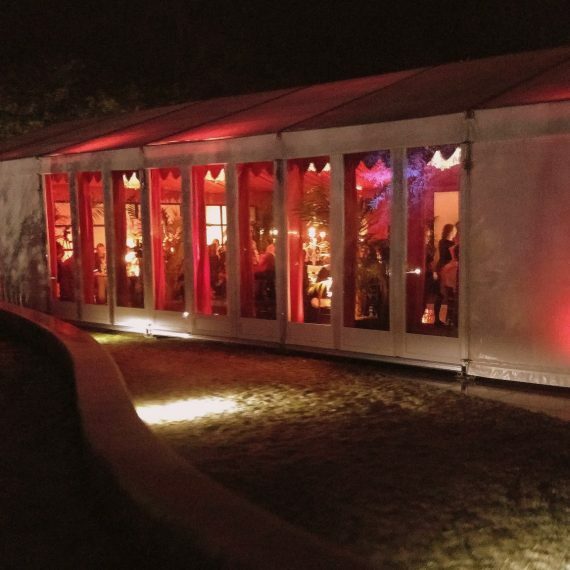 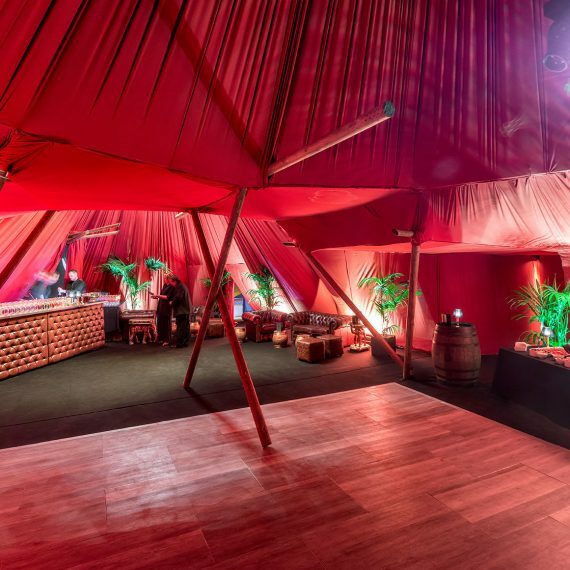 We designed the look and feel of the event and delivered a marquee for guests to dine in, which would have a clear floor over the swimming pool. 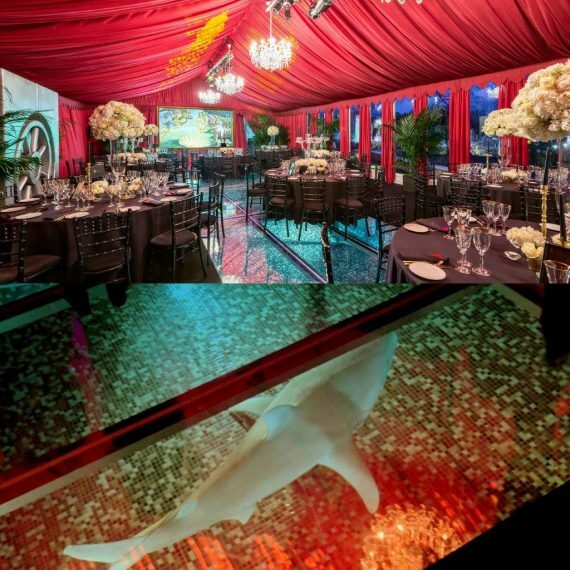 Subtly and smartly theming this space, we enabled dinner for 110 guests, managed lookalike actors, facilities (loos, heating, Sound and light specification), photo-booth, casino, bespoke audio-visual content (including a “this is your life” presentation, photo and bond film montage), and of course the obligatory shark underneath the transparent floor. 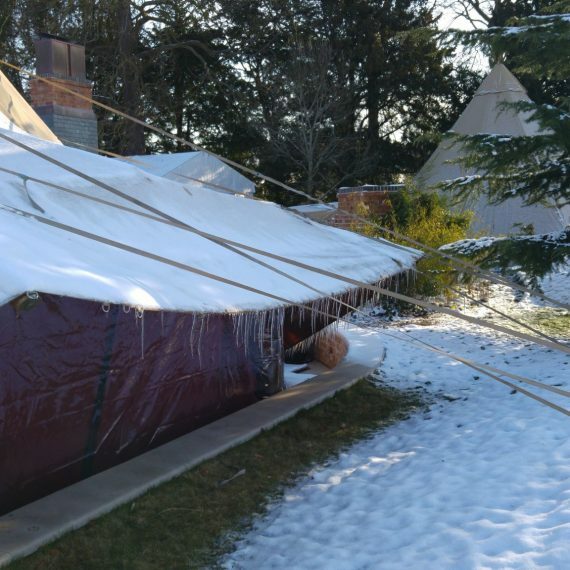 Given the tight deadline we met marquee suppliers on site to discuss options and methods for building a safety-critical structure with the appropriate weight loading, to be connected to some pre-booked tipi structures for the reception, bar and dancing. 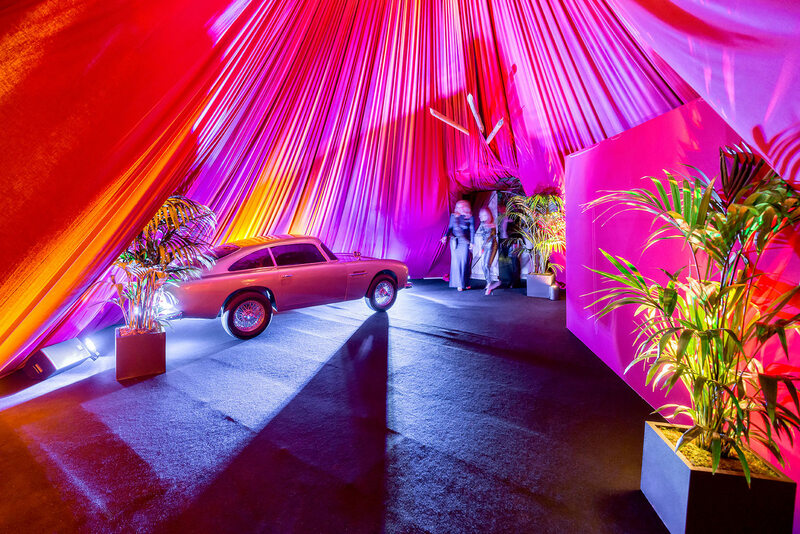 Marquee – We borrowed the iconic scene from the Spy who Loved Me where Blofeld sends a Bond girl to a grizzly end in a shark tank, which the audience sees on a screen which is revealed behind a copy of the Birth of Venus painting. 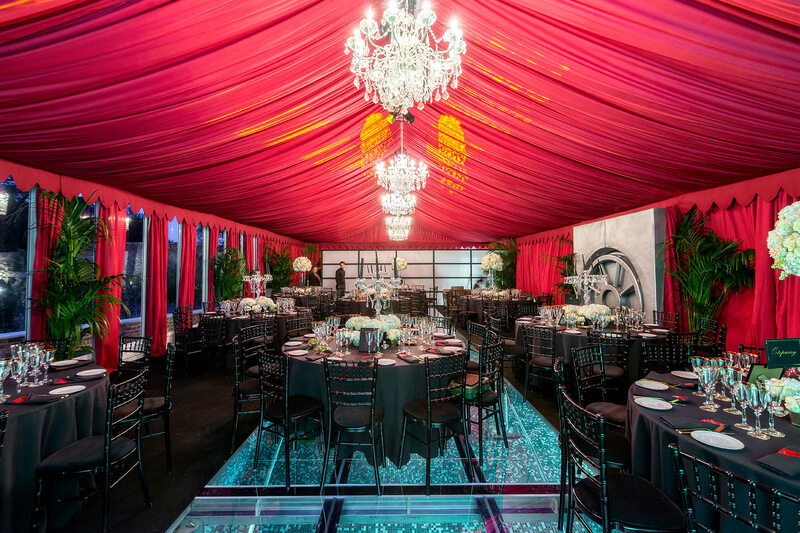 We installed a specialist marquee with a clear floor over the client’s pool with clear floor panels. 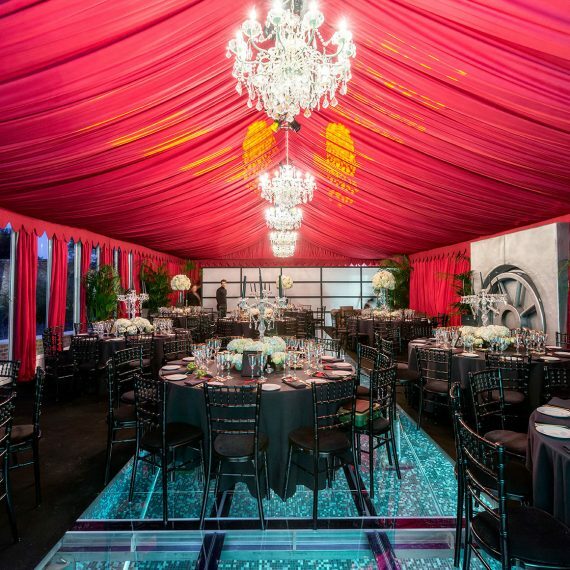 The thick perspex panels were carefully managed to avoid condensation from the heated pool and to enable us to control a prop shark under the flooring. 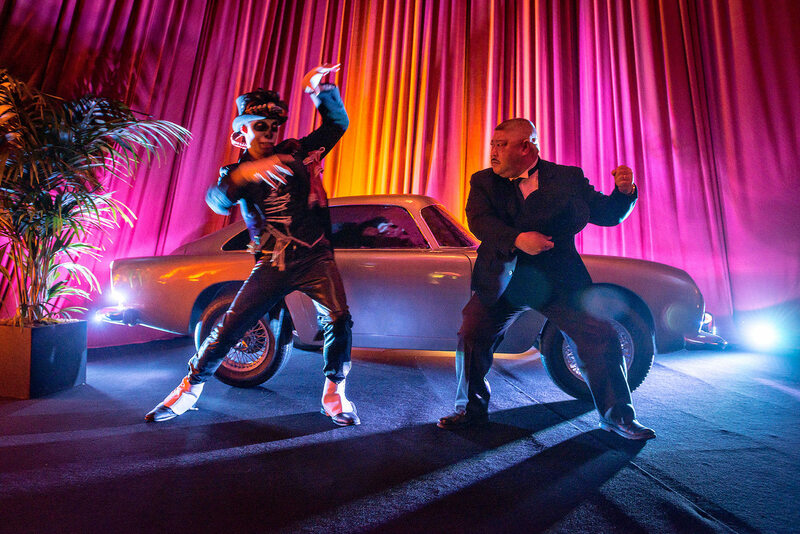 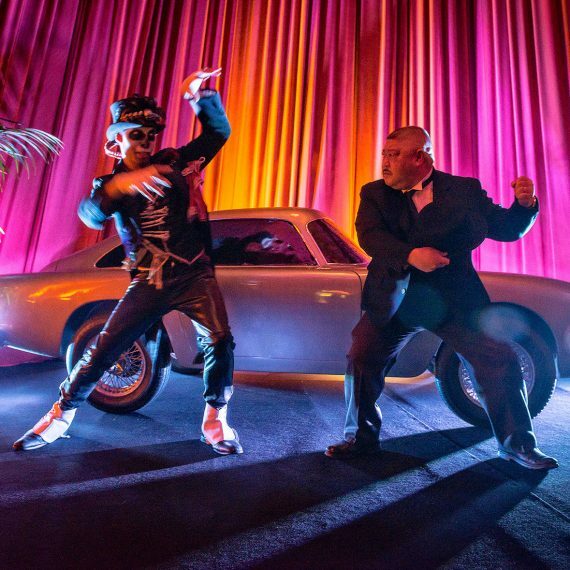 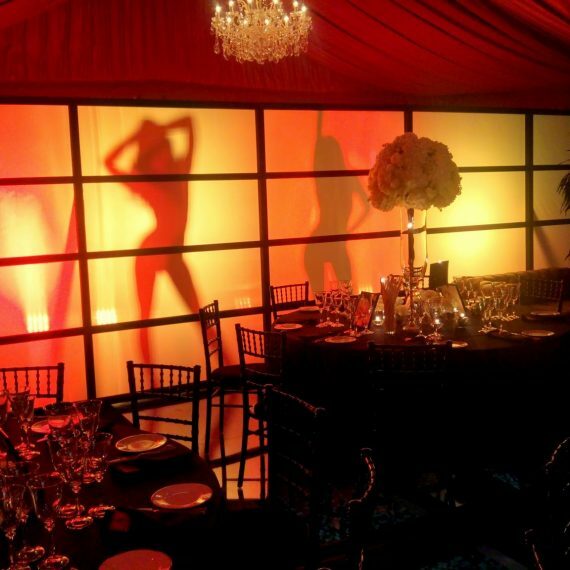 We designed and installed a bespoke oriental ‘paper’ screen behind which we had live shadow dancers who emulated the opening titles from all the Bond movies as guests arrived through a huge vault doorway between reception and dinner. 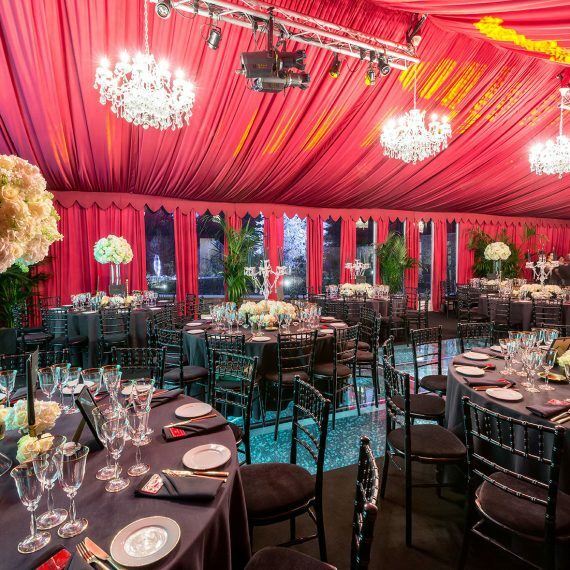 Lookalike actors – Jaws and Oddjob were booked, but Jaws had to pull out at the last minute owing to unforeseen personal circumstance so we worked to find another option at short notice – Baron Samedi to the rescue. 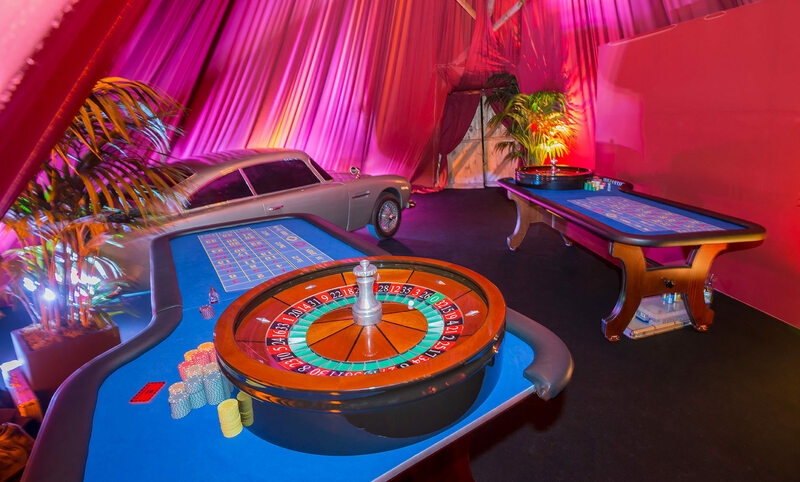 Beautiful Bond girls were briefed to welcome guests on arrival. 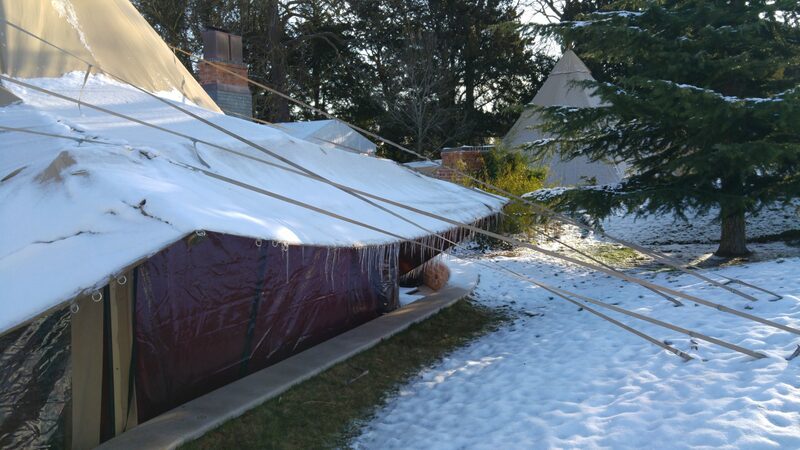 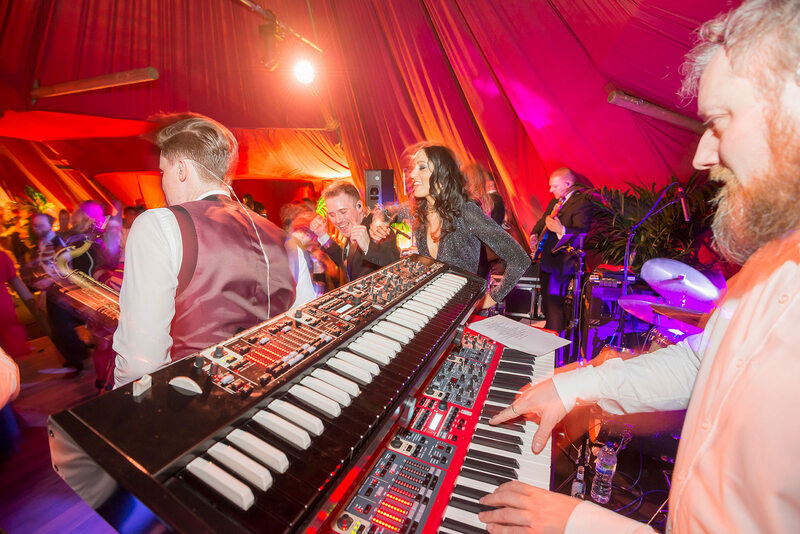 Heating – tried and trusted supplier who enabled us to keep the guests warm in minus 3 degrees and kept a small forest of live palm trees alive on party night, when it snowed during in the wee the small hours. 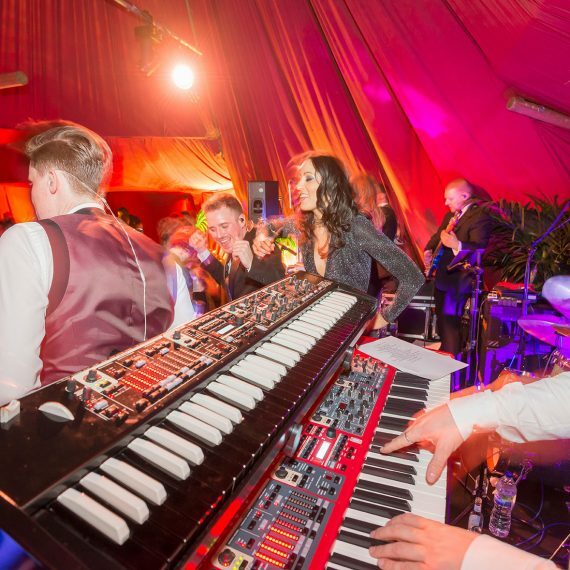 Band, Tipi hire, cocktails, DJ, florist and caterer by our client. 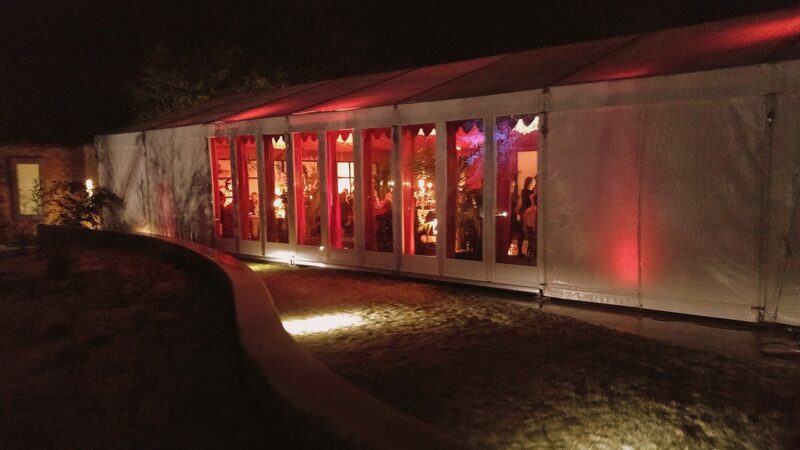 Thanks Mark for everything it really was such a fantastic party… thank you for organising.